You will have until the end of the month to play and maybe win at the Color-Me-Scrappy challenge ! Beautiful color scheme, Valerie! Loe the background you created and your use of the flowers is gorgeous! Wow! Love the way you did the background. This is gorgeous! love the color scheme and you did a great job on the page, just awesome! 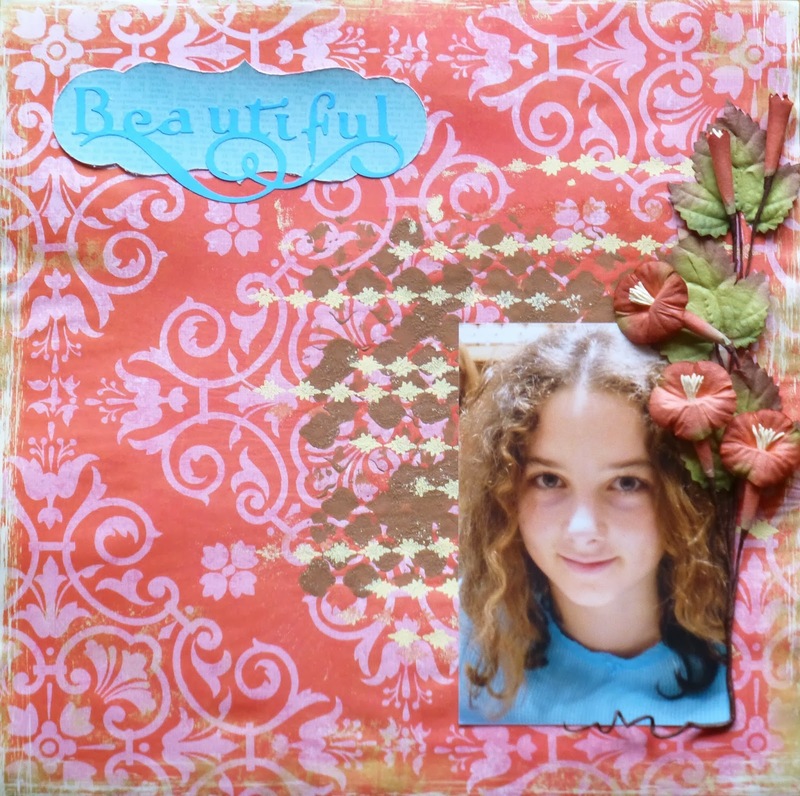 Love the way you used the colour scheme and the background is great - it looks similar to the pattern in the picture. Great layout! Feeling Sketchy March winners !